NewVersion 2.0.3 of this module is released! Refund is not applicable on this product. One time payment and no hidden cost 1 Year free support & updates included but not in modified code. Additional years support and updates will be $49.90/year No license verification Code sharing is not allowed except within your organization. Modules updates are free for 1 year and you will get regular updates of any new version or features added. After 1 year you will have to pay $49.90/year for updates. This cost is not mandatory and purely depends upon whether you want the update(s) or not. You can purchase the updated version anytime. Your subscription will start from the date of purchase and will be valid for the next 365 days. WGS VMware vSphere is a fully automated module that will reduce 90% of your IT person cost. With this module ,once the user orders the service the admin does not need to create VM manually or install the OS. Moreover the network adapter also manages itself and once the server is provisioned, module will send all the details to end user. We are providing a rich client area UI feature where user can manage all the controls like start, stop, reinstall the server as well as manage the server snapshot. Auto-provisioning feature for VMs when a customer purchases a new VM package. 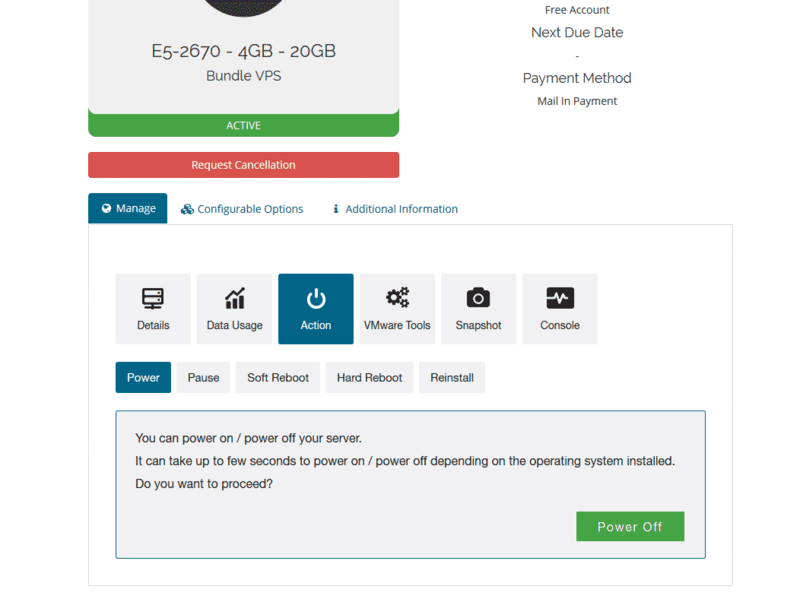 VM management feature for customers to create, start, reboot, shutdown, console and suspend the VMs. 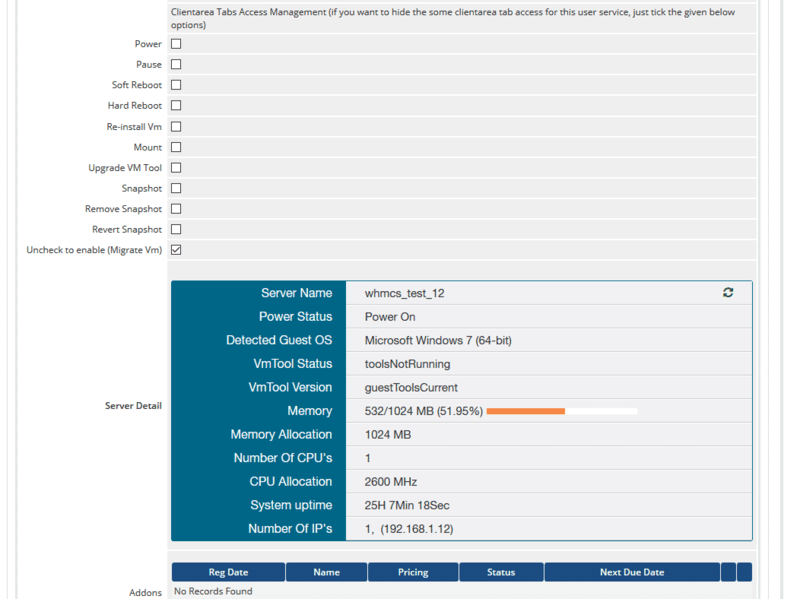 Shows VM stats in the client portal – uptime, memory, CPU, disk space used/available, etc. 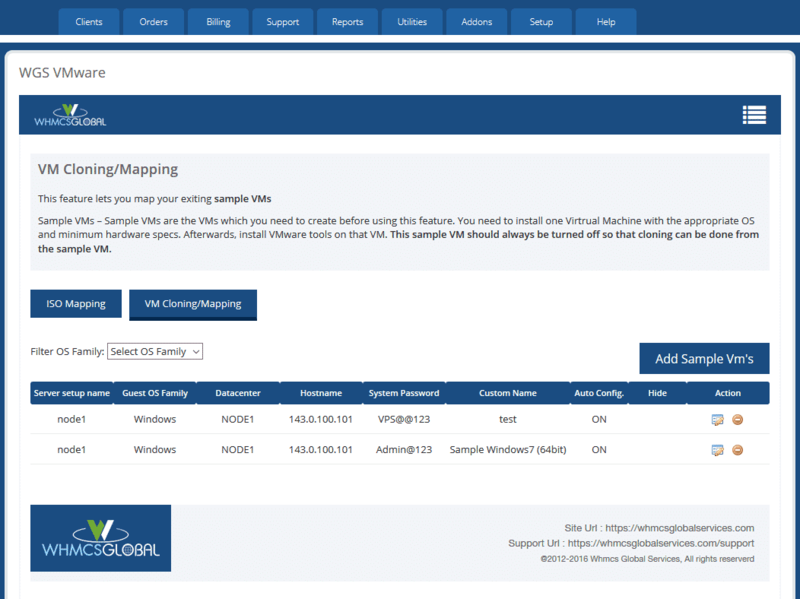 Static IP assignment to the VMs by integrating it with the WHMCS IP Manager module. 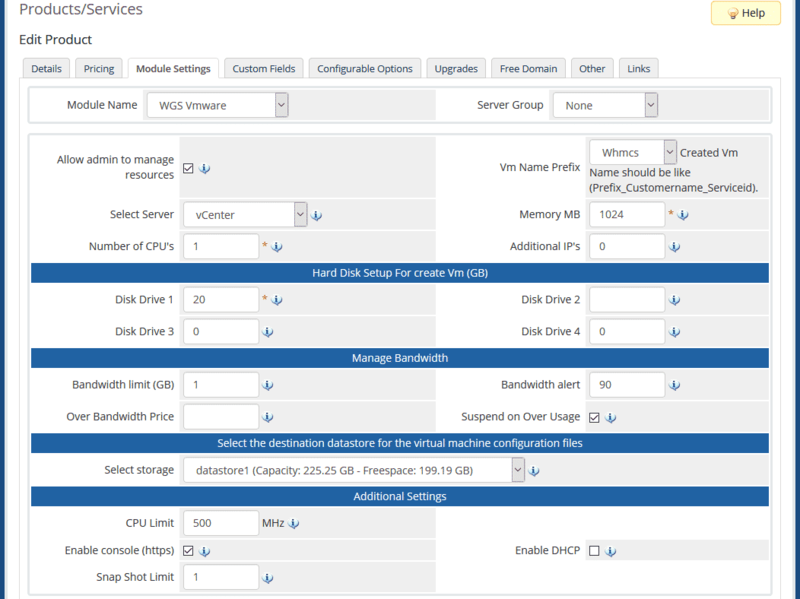 Options to edit the VM configuration (cluster, data center), rebuild the VM, change the OS, etc. 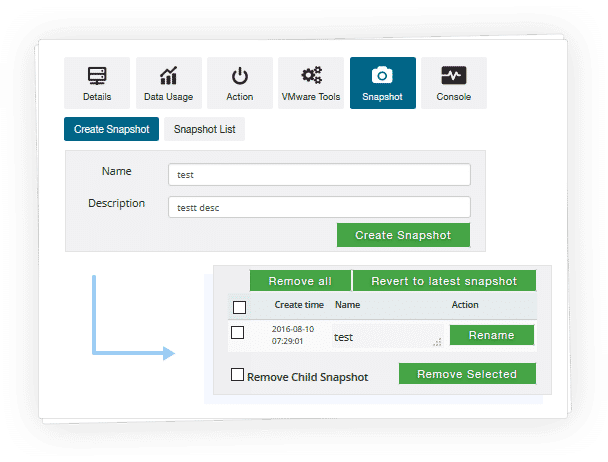 Snapshot preserves the state and data of a virtual machine at a specific point in time. Through this tab You can create snapshot. Enter name and description and that’s it. Just hit create snapshot and your snapshot is created. 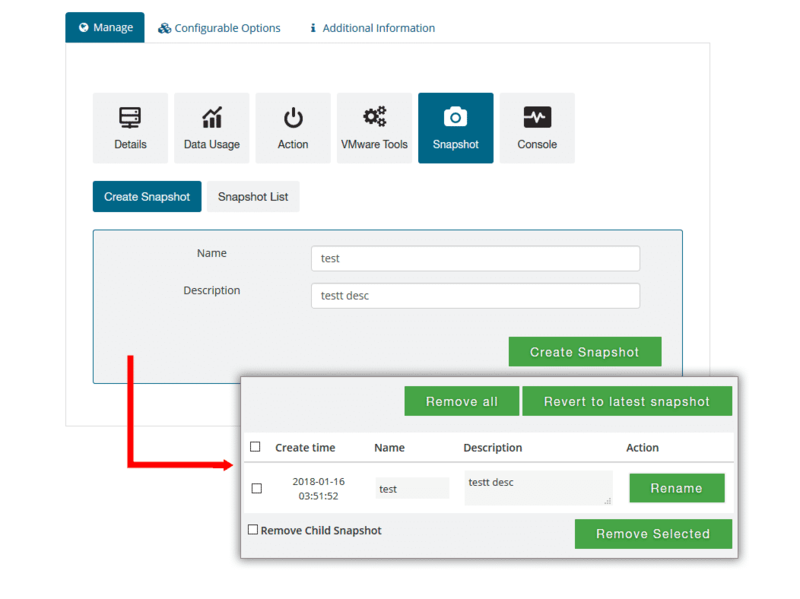 Under snapshot list you can view all the snaphot list that you have created. You can remove any snaphot and rename them as well. Bandwidth managment is great feature of our module. Admin can set the quota limit and even can set the usage notfication limit like 80% usage or 90% usage. In module setting admin can set option like bill to user based on the overusage or suspend the service once bandwidth is exceeded. Admin can offer snapshot and extra IP services. Client can manage VM resources such as Power ON / Off, Redeploy etc. Client can Upgrade/downgrade VM from client area. Client gets an option to view the usage statistics. Client can view the assigned server specifications. What is required for VMware module? Requirements: WHMCS v6 or above. SOAP must be enabled. Mcrypt PHP extension. PHP memory_limit 512M XML, xml reader, xml writer. vCenter v5.5 or above. 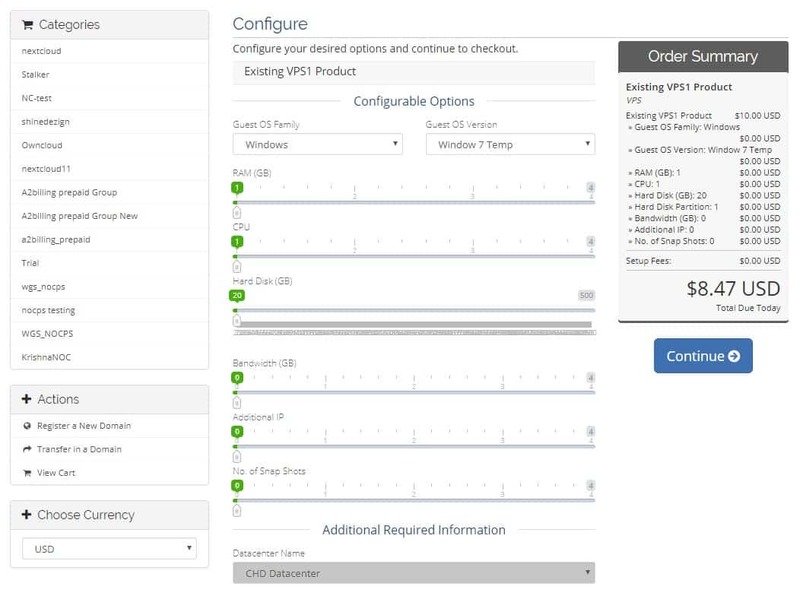 ESXI/vCenter detail (we recommend you to use vCenter detail). SSH detail not required. I don’t have VMware vSphere web client. From where can I download it? To download the vSphere web client, you need to first put your installed ESXI IP/Hostname in your browser . Once the page is loaded you will get the link to download “Download vSphere Client”. Is vCenter and ESXI required? 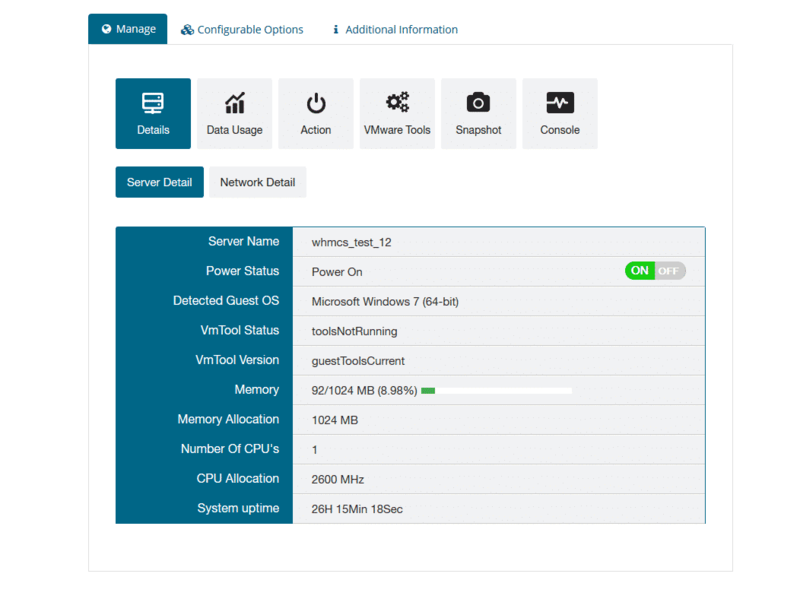 VMware module works with both vCenter and ESXI. There are some restrictions with ESXI like cloning, migration etc. 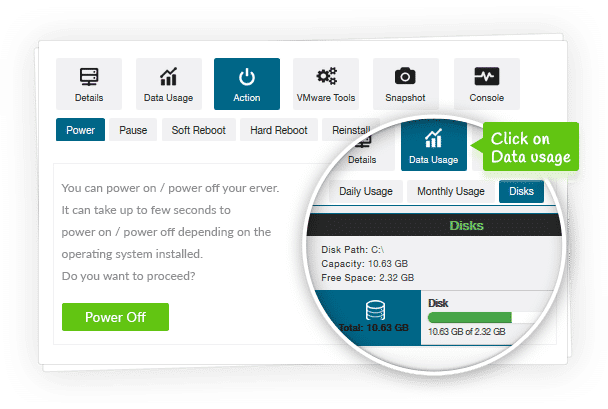 So we recommend you to use vCenter detail. If you don’t want features like cloning and migration then you can use ESXI details. What is the difference between VMware ESXi and VMware vCenter? ESXi server is the most important part of vSphere. ESXi is the virtualization server. All the virtual machines or Guest OS are installed on ESXi server. 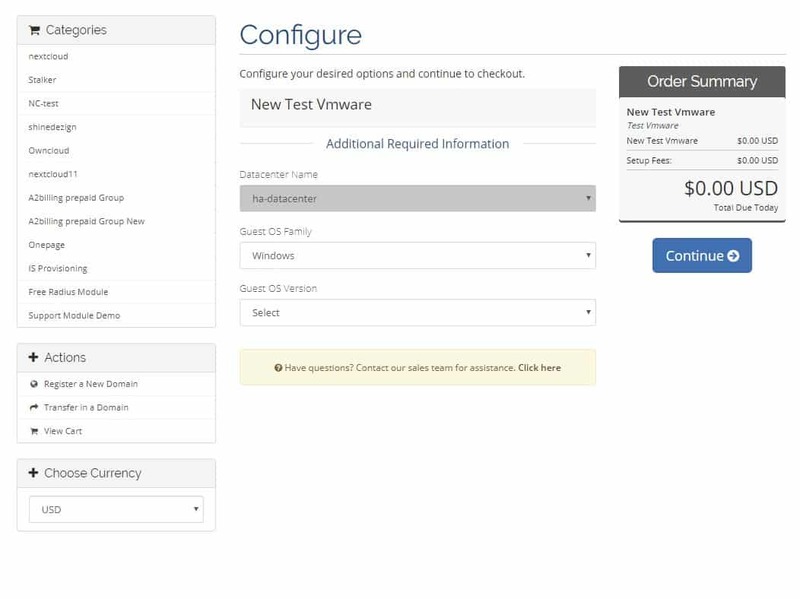 To install, manage and access those virtual servers which sit above of ESXi server, you will need other part of vSphere suit called vSphere client or vCenter. 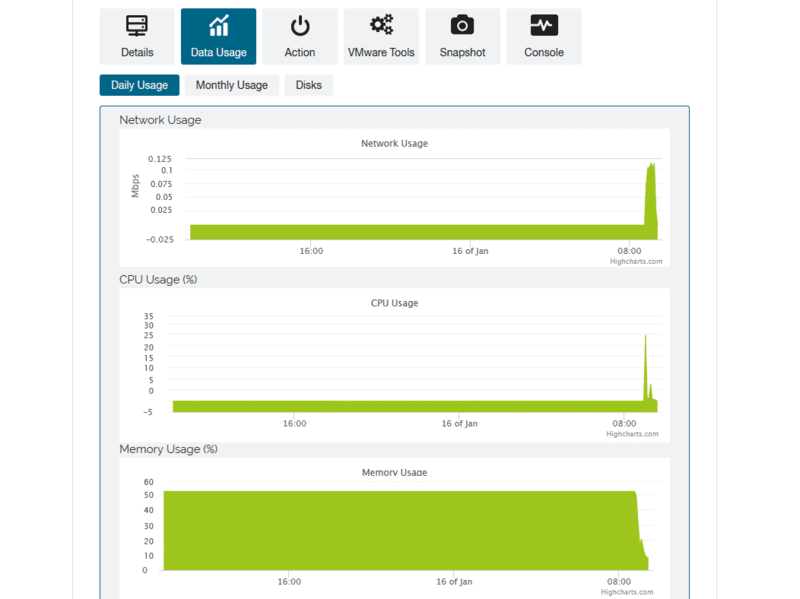 Now, vSphere client allows administrators to connect to ESXi servers and access or manage virtual machines. vCenter server is similar to vSphere client but it’s a server with more power. vCenter server is installed on Windows Server or Linux Server. VMware vCenter server is a centralized management application that lets you manage virtual machines and ESXi hosts centrally. vSphere client is used to access vCenter Server and ultimately manage ESXi servers. You can easily clone existing virtual machine in vCenter server. It is therefore another important part of vSphere package. You have to buy vCenter license separately. Is your module cloning new VM from a template or from existing VM? VMware module works with both existing VM and template. You have to create the different – 2 OS VM with limited configuration. 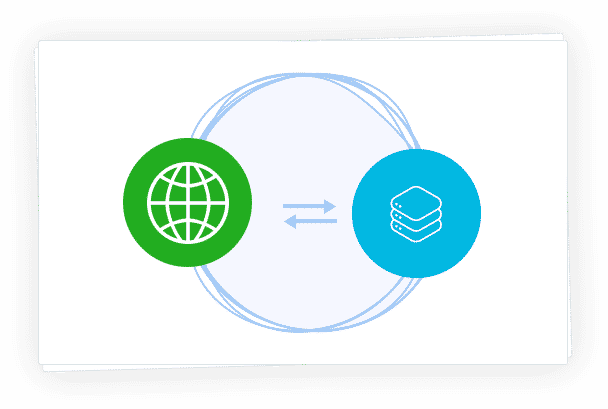 Once users choose the Server configuration based on their requirements we will customize the server configuration while provisioning the VM. Does your module work with existing VM? Yes, we are providing the feature in our addon to assign the existing VM to your client. Does your module work with existing/old service? Yes, we are providing the feature in our VMware server module to assign the existing VM to old / existing client service. How will your module manage the IP pool? In our VMware addon, we are providing the feature to create the IP pool. 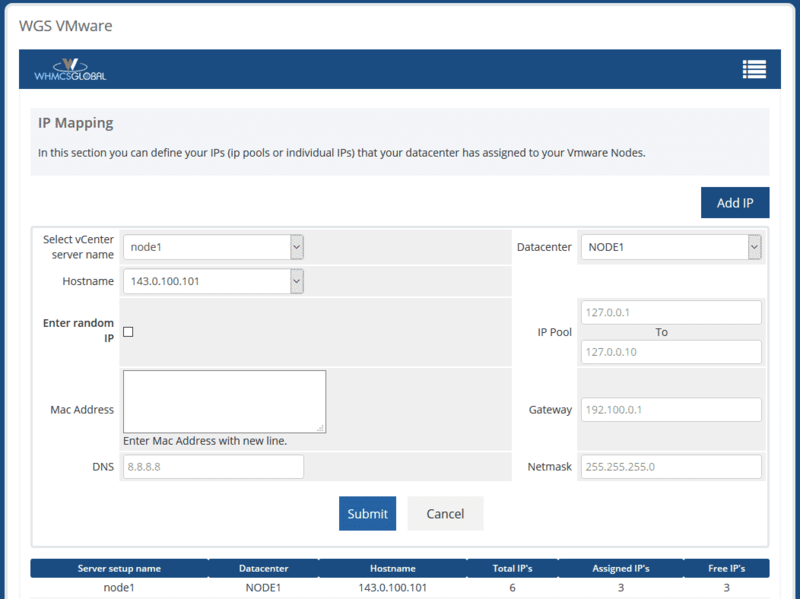 You can create the IP pool with specific vCenter, Hostname and Datacenter. During the creation of VM, module will pick the free IP from IP pool with specific vCenter, Hostname and Datacenter and then assign to VM. Does it also provision VM's with OVH MAC addresses ? Yes you can add the Mac address in IP pool section in addon. While creating the VM our module will pick from there. Does your module support DSR? Yes , A DSR-based load-balanced routing feature is added in our module. team helped me with it. Will share a detailed review soon. I really liked the way this module works for my vcenter and WHMCS website. Just missing the console part, hope you guys make it work again for my website. The VM auto provisioning works super cool after installing the module. Great client side panel to manage various VM features. the solution is very limited, with any treatment they offer to pay for individual development. I do not respond to a refund request, I will contact PayPal. I do not recommend. They are really developing this module time to time, also I love the way they support in upgrading the module. Their latest release has fixed a lot of small bugs. Beside of some tough time these guys faced during the hack, they recovered strongly. Hey all, I purchased the module and installed it without any hassle. They helped me in doing some changes real time, and their support was something I should highly appreciate. They solved the configuration issues in real time via teamviewer. Cheers! good product good support team, developing by time to time. 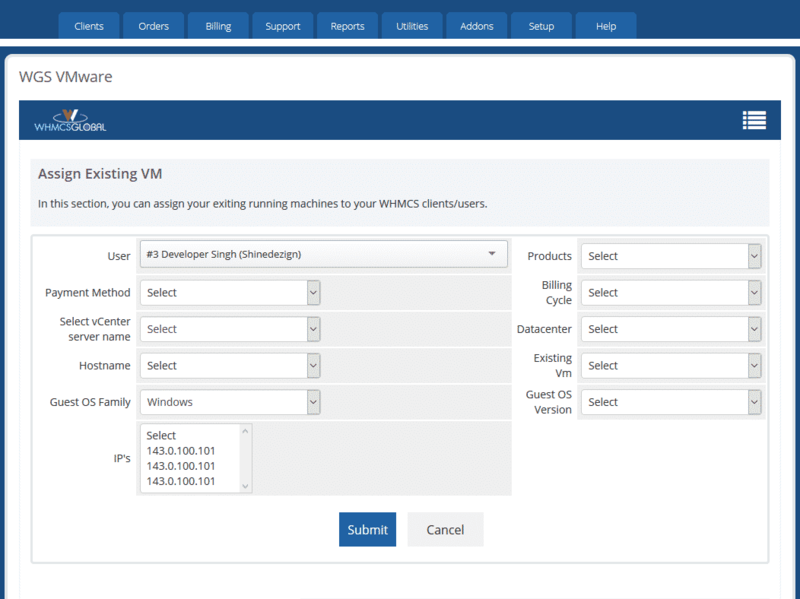 Best available Vmware provisioning module for whmcs. Purchased this module a month ago. 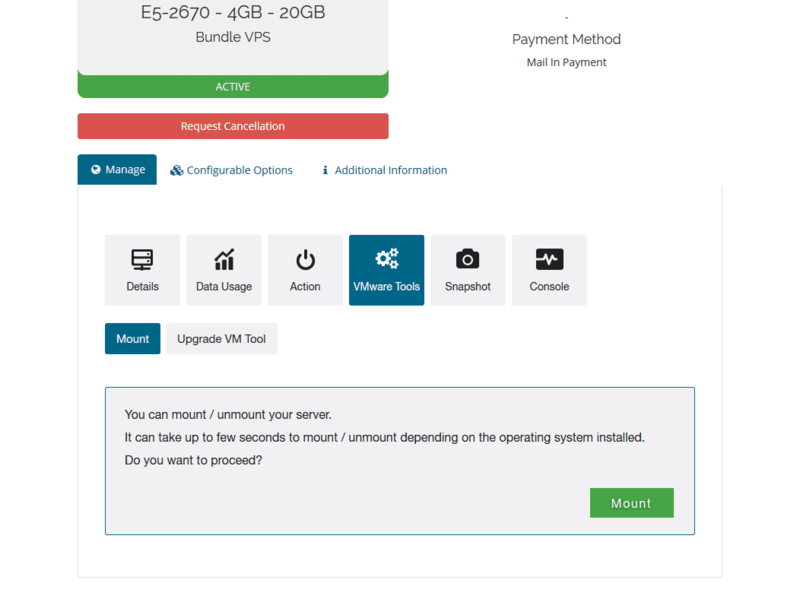 I am running my own web hosting business and I have to manually setup the VM once an order is placed. Thank God find this module, it helps a lot in provisioning the VM itself as soon as the customer places an order. The module is working perfect, initially it was hard for me to setup things as it is very tricky to setup the module for the proper use. But these guys provided full support and make it work for me in no time. Be careful this seller is a scammer , their products do not work, they stole me $ 169, and they do not want to refund me, be careful to buy their product, their system make reboot the vm without being asked and with other Too many bugs ! Attention d'acheter WGS VMware le produit WHMCS Global Services , c'est un addon qui ne fonctionne pas , en plus il fait rebooté vos VM aléatoirement , lorsque je voulais me faire remboursé NADA , il m'ont volé de 169 $ . Le support technique est nul , le logiciel plein de BUG , attention de se faire avoir comme moi . Watch out! Reviews (5 stars) of this product are probably fake! Support is horrible and takes more than 24 hours to answer a ticket. The system works ONLY with Vcenter and does not work for most sellers. The system has bugs and does not configure Ip on Linux's OVH physical servers. The system does not respect the fact that you can not install a VM from one server and use the IP of the other. Most datacenters do not offer floating IP and every ip works only on a single server. When I installed the script, it reconfigured the additional fields and removed my settings, forcing me to recover a backup and to permanently give up this script. I asked for a refund and nothing.... I was forced to open a dispute on paypal. The price is absurdly high and unreal for most countries. Good module, improving with time. The support we have received has been perfect, we have even requested modifications and they have been carried out correctly. The module does what it need to do. Like every software there are some issues but every time support works hard to fix the issues. Off course they need there time but with good backups and test-procedure you can handle it very well. I'm using the software for more than a year now. 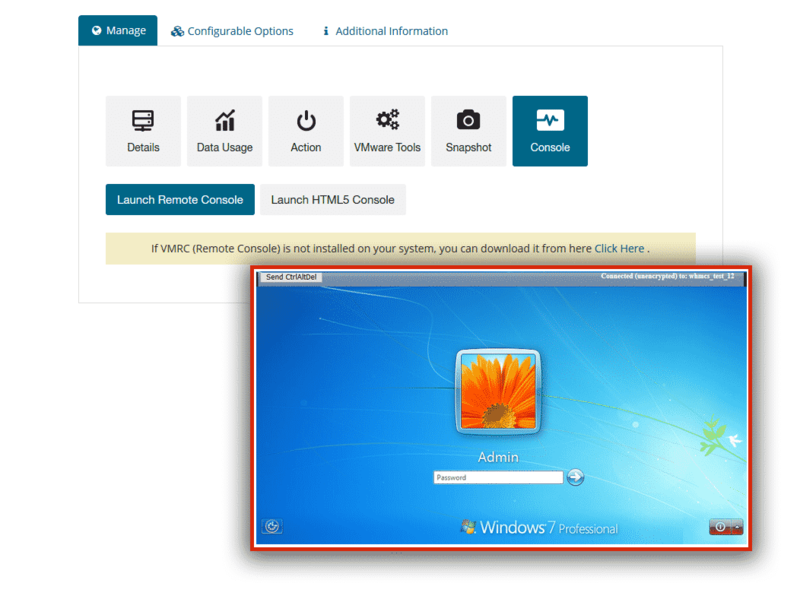 After purchasing the module I could download the module from the whmcs download directory. then unzip and upload as described in the documentation. The documentation that comes with the mudule does not look neatly taken care of. Fortunately, the online documentation is and is easily readable. After I had given up the credentials of the vmware server, a direct connection was made with the VMware server and the installation piece was ready. When configuring the vmservers I had to run the first server quickly via the isomouting. Cloning was less easy because I did not get out of the documentation, I pay the developer for a clear explanation. Now that everything is clear both ways work. Product works as expected. Good support which actually helped us to resolve issues caused by our own configuration errors. We have bought several modules from this developer and they have also made some custom development for us since 2016 and I've never had any issues with them. Communication has been always prompt and helpful. They never respond. Not even my dispute on paypal. The system has many bugs.